Club Penguin Cheats by Mimo777 Club Penguin Cheats by Mimo777: Everyday I’m “Puffle-in”… With Chattabox! Hope you all had a ‘egg’cellent Easter and are full up from all that chocolate. I know I am! Check out the picture from our Easter Party last week. Guess what this Friday is… It’s World Penguin Day – hurray! So a big shout out to all my flippered friends on our special day; GO PENGUINS! This week I’ve been looking after my new puffles. I have a new Cat Puffle called Claire and a new Dog Puffle called Hollie – how cute! We’ve been hanging out in the new Puffle park and checking out the water slides at The Cove. So this week, lets have a party to celebrate how totally awesome the new puffles are and how much fun the Puffle Party has been. 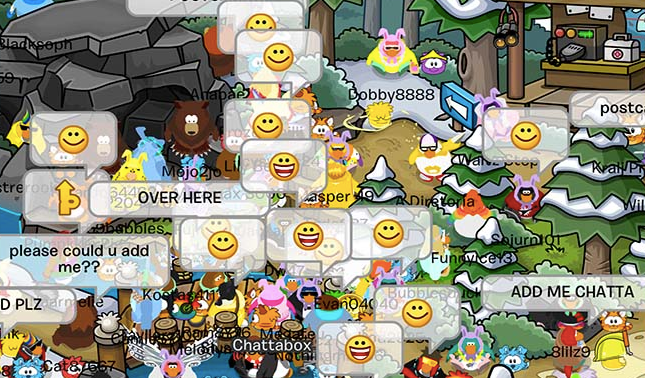 Dress up in your favorite ‘Puffle-inspired’ outfit and bring along your new furry friends; lets go PUFFLE CRAZY! Here's the next meeting details! You have been doing this for years now, May I be a moderator? I have been here since 2008!